Adult : $29.95 ; Student and senior: $27.95 ; Child : $16.95 ; Family: free for a child under 12 years old (1 child per adult). See Trois-Rivières in an entirely new way! 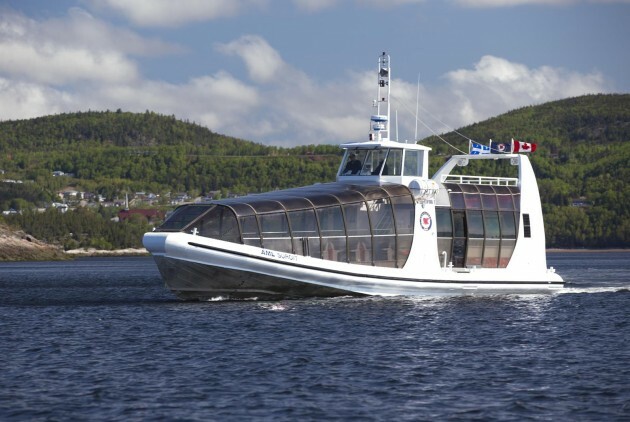 Come aboard the AML Suroît, and let yourself be carried away by the beauty of the coastline and enjoy the wonderful view of the city of Trois-Rivières, the port, the Laviolette Bridge, Our Lady of the Cape Shrine, l’Île Saint-Quentin and the estuary of the St. Maurice River. Group rates and charters available.